It’s Monday and with Father’s day this Sunday it’s time to give credit where credit is due. I’m talking about all the incredible fathers, doing their part in raising their kids. The men we call the great loves of our lives, the ones that stick with us – raging hormones, stretch marks, loose belly skin, saggy breasts and all! It’s time to celebrate dads and (our Mr. Perfect too). Are you a parent to your kids AND your partner? A helicopter mom to dad? Telling him how to hold baby, sooth baby, feed baby and even exactly what to dress baby in… Have you heard yourself saying “she will like it better if…”, “it’s easier if you…”, “do it like this…” and the popular “just let me do it.” I’ve been caught parenting my partner on more than one occasion and bless Mr.Perfect’s heart, he always listens. Never questioning or correcting me even when I’m sure I’ve gotten worse with every member of our growing family. My motherly obsession with establishing routine, striving for unaccomplishable perfection and just keeping everyone happy actually robs my husband from being the amazing dad God intended him to be. I wasn’t the only one destined for greatness. Our girls didn’t just unlock my true self. They’ve also changed the boy I married into a man, a father and someone that knows how to be a fantastic parent. It may not have been intentional and actually done in kindness but I’ve come to realise my mistake. Dads are incredible and have their own special magic that we moms simply cannot master. They have some mad skills and innovative approaches to parenting that deserves to be embraced and celebrated because trying to parent your partner, while parenting your kids is exhausting. This Father’s Day I’m standing back thanking all the Daddios for all the things we Mommas simply cannot do. So, let the fathers, father! Together with Lullaby rock we are celebrating all the Daddios! 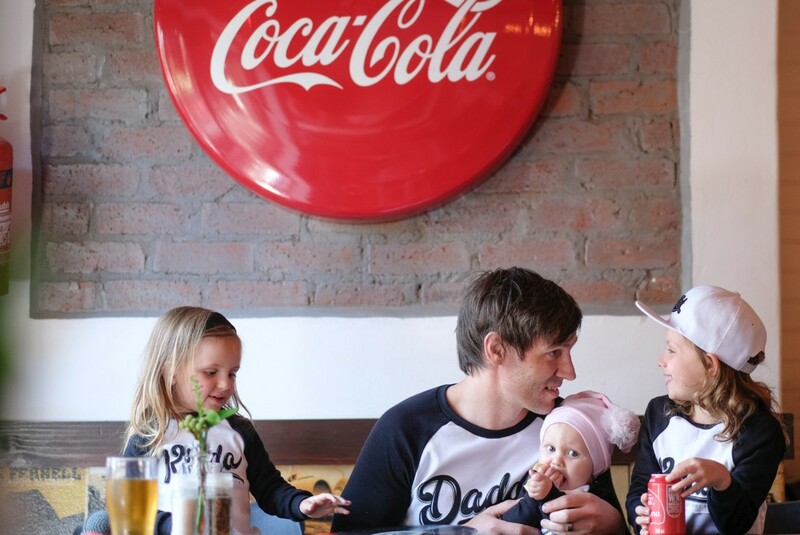 We teamed up with Mr. Perfect’s all time favourite kids brand, Lullaby Rock Apparel and together we want to spoil one dad and his kid(s) with an awesome Daddio tee AND a R1000 online voucher to spend on his kiddo(s). How rocking is that? 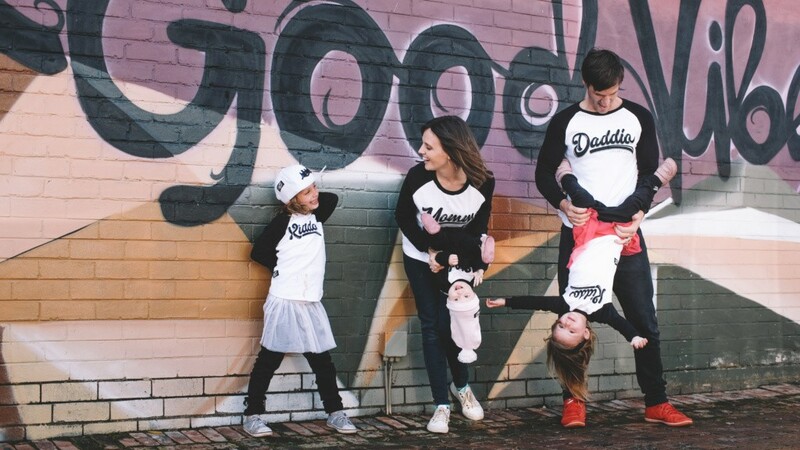 Please leave a comment below sharing a little something about the Daddio to your kiddos. Like @justamamma and @lullabyrockclothing on Facebook. Doing all 3 means you’ll get 3 entries into this awesome giveaway! Feel free to SHARE this post with all your Momma friends too. Good luck and Happy Father’s Day. Only entries via Instagram, Facebook and comments left below will be considered. Instagram and Facebook is in no way responsible or associated with this giveaway. You need to follow both @justamamma and @lullaby_rock_apparel on Instagram and / or Facebook to qualify. Competition closes on the 16th of June 2018. The winner is picked at random and announced on the 17th of June 2018. This prize is not exchangeable or refundable. Please enter valid email and contact info. If we can not get hold of you within 48 hours a new winner will be picked. The greatest care will be taken when mailing your prize but Just a Mamma and Lullaby Rock Apparel do not accept any responsibility for lost, stolen or damaged goods. Shout-out to Burger Bistro, Hazelwood for letting us use their cool space to have a fun pre-Father’s Day lunch to celebrate dads. 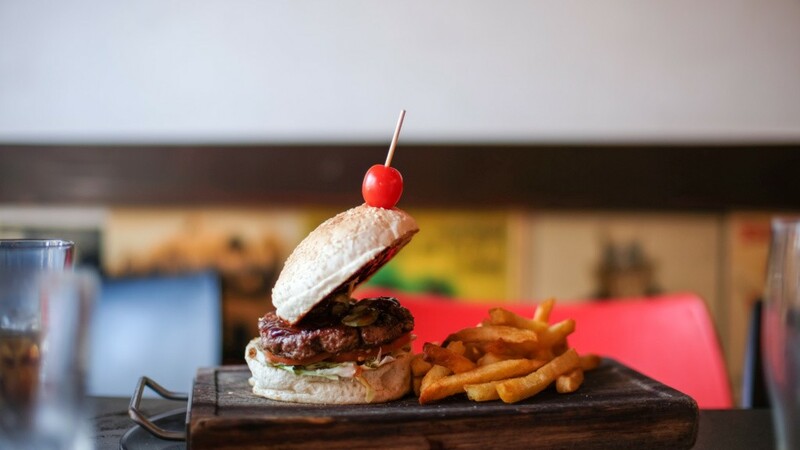 Hands-down the BEST burgers and milkshakes in town and with Pac Man ready to play… You can expect us back soon. Roll with Lullaby Rock on Instagram and like their Facebook page here. Our Daddio is one Awesome Dude!!!!! He works abroad, so unfortunately we only see him every 9weeks……BUT apart from video calling his Princess twice every day, when he is here is takes over COMPLETELY!!! Doing absolutely everything I normally do, I get a mini holiday 😉 and he spends every second with her! We are so so blessed to have an Awesome daddy like this!!! This blog is so true and had me in tears. In tears because I’ve been so blessed with a wonderful husband and he’s an amazing father. I remember reading a blog when I was pregnant with our little girl… can’t remember where so I can’t give the proper credit… but it went a long the lines that if you wanted a hands on daddy, you need to not helicopter and correct daddy…. let him change the nappy how he would, if its too loose it will fall off and he will learn, let him learn and make mistakes too… because if we keep correcting them, they will loose the confidence and stop trying. So many times I caught myself from going in there and doing a ‘better ‘ job. But my husband is an amazing dad! When I’m scared and worried when she’s sick, he is our strength and calm. 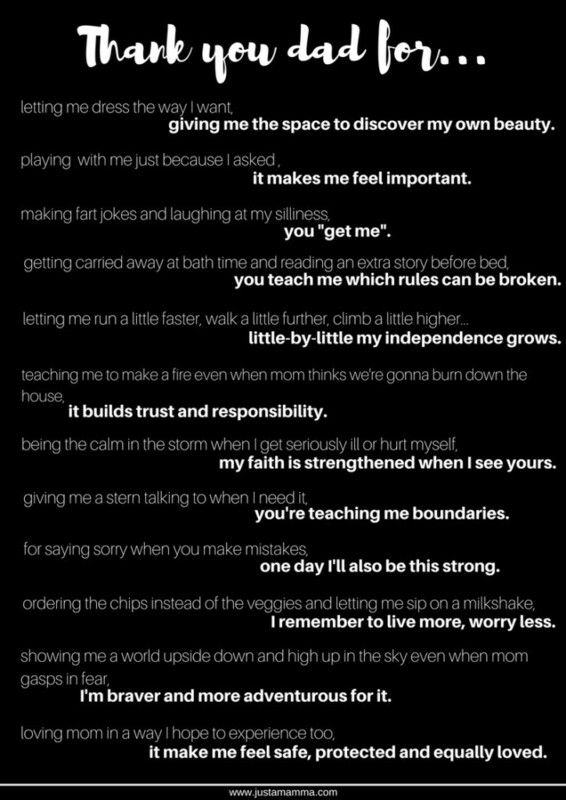 When she’s pushing all the boundaries and I’m ready to give in… he jumps in and gives her the firm Daddy voice talk 😂 he teaches her love and self worth… pushes her to find her own independence and adventure! We love him so much and we are so lucky to have him. Watching Andre be a dad is pretty awesome! My favourite daily moment, is just before bathtume each night, when he ‘wrestles’ with little Andrew on the bed! 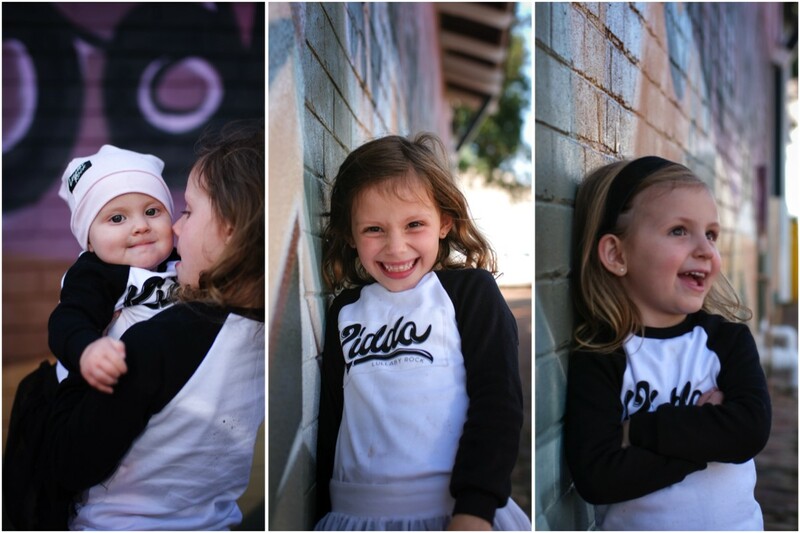 All the little giggles and belly laughs that they share just melts my heart! He has taken to fatherhood like a fish to water, and I love him so much more for it! My husband is a awesome Daddio to our son I never knew a guy could love a kid as much as my husband. There is no where he’d rather be than with his family. When I was pregnant he talked to our son even when he was in my belly. He hugs and kisses my son and tells the how proud he is of him. Ezra loves his daddy. If my husband has to leave for work before Ezra’s awake in the morning, he inevitably cries “DADA!! !” over and over again while sporting a pout. And ever since Ezra was an infant, no one—and I mean no one—could make that boy laugh the way my husband could, and still can. The mashed sweet potatoes crusted on his jeans after dinner? I don’t notice them. The bags under his eyes from staying up late to finish the (piles and piles of) dishes? They don’t bother me one bit. I mean, come on, the very fact that he voluntarily does the dishes is HOT. And my heart will always beat a little bit faster when I watch him giving Ezra a big hug. My husband takes his job as a role model for our son very seriously, and it shows. I pray we manage to raise Ezra to be as good of a guy as his dad is. My husband is a true hero in my eyes and in my son’s and I want to thank him for being a true partner in parenting. My daddio is simply awesome.. He treats his princess like his very own MiniMe, toting her everywhere. Their playtime is a mix of Sofia the First and WWE Smackdown (pls don’t ask!). He really spoils her with everyday treats even against my advice but an only child?..not happening! But I do have to say that he gives her a strong role model for a loving father, a humble individual, respectful and humorous fun loving man, opinionated but still open minded person and if she grows up to be anything like him..I know she’ll be a great human being! My husband is the best Daddio in the world, Not only is he an amazing provider, he is a loving husband, caring and patient father. He give our children someone to admire, respect, and honor. He’s so full of compassion, love, and strength. When we need a strong hand of support, he’s always there. I love him for being the father he is, for all that he do, For being their best friend & their protector. I can’t thank him enough for being the most amazing father to our beautiful daughters! Because of him their life is filled with smiles, beautiful moments, and true love. My hubby was never married before he married me 3 years ago when he was 41, nor did he have any kids. He became a 1st dad at 42, our adorable baby boy is now 16months old and we are expecting twin boys in August. Not only has he been the most amazing dad to our 1 year old, he is a perfect father figure to my 2 teenage boys from my previous marriage. What a blessing to have an older, wiser daddio around the house. My husband is the best Daddio to our two daughters. He spends so much time with them, always playing around. If daddy is getting in the car, they want to go with him. They love him sooo much. He spoils them whenever he can. He is the best dad in the whole world. Ah our Daddio is the best, definitely one of that let’s our 2year old ride down the hill a little too fast for mom to watch! But he has changed just as many nappies, bathed her, dressed her and just been the all-time best, especially when mom isn’t well, or in hospital , which happens quite often. What a hero our Daddio is!! Me and my 13 week old baby boy have the absolute best daddio in the world, being first time parents he is absolutely rocking being a daddy. I’m so proud of the man he is and the amazing daddy he has become.He is completely hands on changing diapers,soothing baby to sleep while I catch up on sleep , bathing our little munchkin and feeding me whilst I’m breastfeeding! Daddy is a sailor (navigates cruise ships) and sacrifices a lot for the family when he is not able to be with us and I know how much he misses us when he is gone, with all the video calls no matter how tiered he is he never misses a call. We love him so much ⚓️🛳👪❤️ He deserves ALL the SPOILS this Father’s Day. I knew my husband wpuld be the most incredible father to our children. He lives and breathes this family. Everything he does,every decision he makes and his lhard work day after day is for us and our future. Watching our son wrap his arms around his neck and snuggle his faces into his fathers chest as they close their eyes with a sigh may very well be one of the most beautiful things I witness. Our son’s face could light up a room when his father enters it. Watching his chubby little legs run towards him is something I’ll never forget and i cannot wait for our daughter to be born in the next 2 weeks to relive this moment all over again. He is the frame that holds this entire house of love together and reminds us daily that chivalry is alive and well. My hubby is a fantastic Daddio. He treats our baby girl like a princess, going on dates with her, buying her flowers and just spending time with her to show her how special she is. He insist that she should know how a man is supposed to treat a woman he is loves. A absolutely wonderful post to read. Dad is such a great leader. Let’s the boys know that he is far from perfect and that their true Father God is the only one in whom they can trust in. My husband is an amazing daddio! The bond he has with my 2 year old is something special. It has developed because he has put in the time, played ball when our son has asked and wakes up to every moan he makes while I’m up with his new little sister! Watching him be a father to our beautiful children makes me fall in love with him a little more each day. My husband is an amazing Daddy to our little princess. In 2014 we got married and started immediately trying for our family. We unfortunately suffered 3 miscarriages, until our princess arrived December 2017. Daddy was there through everything. From the moment we found out I was pregnant my husband was amazing, spoiling our little girl before she arrived and making me feel like the most special women in this world. Daddy would get up at night with me, just to spend the time watching his little girl being fed and wanting to change nappies. From day 1 he has bathed ever night with our daughter as he feels that is their special bonding/quality time together after work, and she loves her bath time with Daddy, especially when she is a little grumpy before bath time and daddy dances and sings for her to make her smile. My hubby is an incredible father to our 19 month old son. From the minute our little was born, Ive loved watching my hubby develop into Superdad. From day 1 in the High Care unit and every day since my hubby has done everything he can to care for and protect our son. He always puts him first and works extremely hard to provide for us ❤️ We are lucky to call him daddio! Our daddio is one in a million! 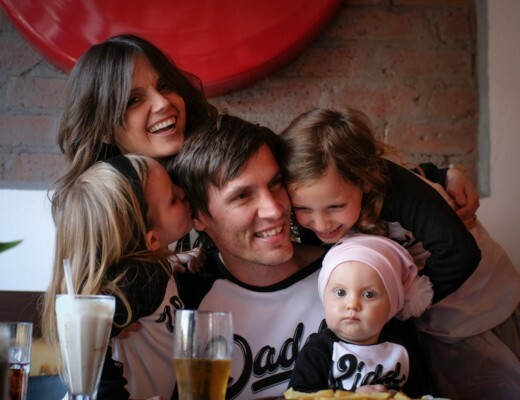 He is the greatest father to our 2 little boys – each day he astounds me being the amazing dad he is. He couldn’t have more love for his 2 boys and will go above and beyond to do all he can for them with more love than you could ever imagine! Even though he works 2 jobs and gets minimal sleep, he will still sit up with his boys if they need him and will have full energy to play with them during the awake hours. A daddio in a million and I know as the years go by, I will continue to be in awe of all he does for his little guys, and me . How moving and Dads are such a special part of a girls life aren’t they? I still have my Dad and he has worked hard his entire life and gave us a good life. My Dad is the smartest man I have ever known and even with the signs of aging which is very hard to see, he will always hold a special place in my heart. A true Dad teaches you how a man is supposed to treasure you; so that when your special one comes into your life…you know he is the one for you.. Your husband seems like a character just like mine my Dad, and I enjoy when he comes on your blog. 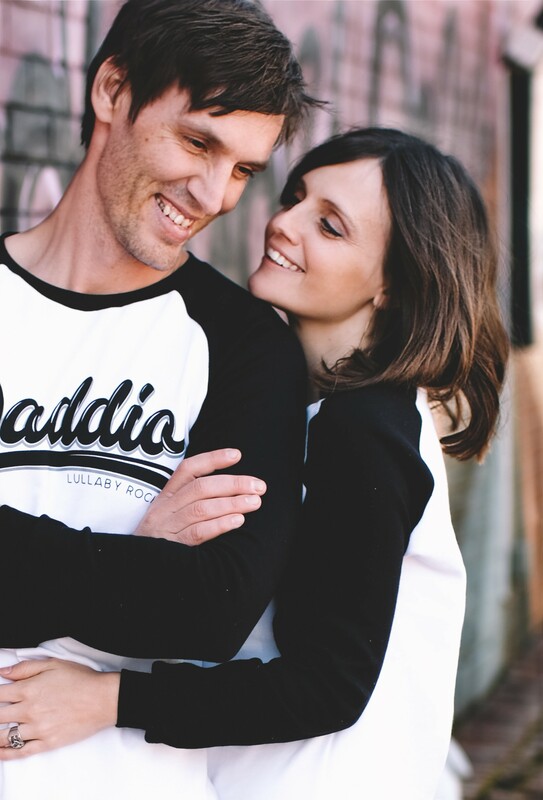 We are an incredible parent duo…my baby daddio is the patient & motivating….the good cop in our good cop-bad cop routine. He is the kids partner in crime & mommy pacifier when mom is too strict. Dad is the kids bestie and camp night on the front lawn is planned for Sunday Fathers Day. This dad is a man they will always look up to -no matter how tall they grow. 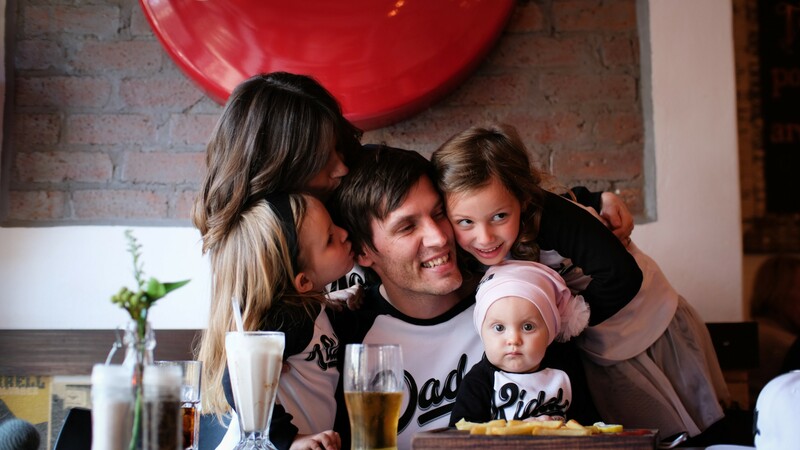 My husband is the best daddio ever…..he is patient, understanding and showers our girls with love. I am amazed at the wonderful things he do and he absolutely adores our girls. Nothing is too much for him when it concerns our girls. My boys have the best daddy. He works long hours and days so I can stay home with them. On our family outings he makes up for his long work hours. He is such a good role model for them and Just want the best for them. 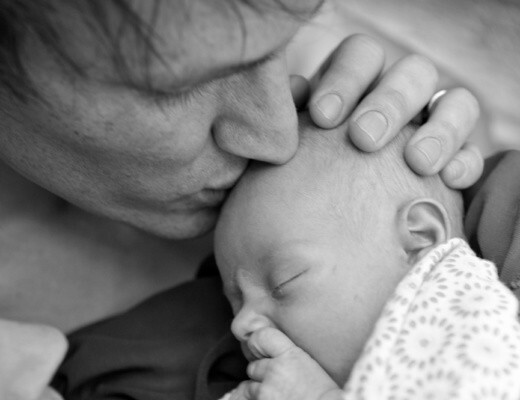 My partner is such an amazing father to our little monster, from the minute he was born. His helped me in ways you cannot imagine. He works from home, so every free time he has, he spends it with our little monster. His just been so amazing and supportive in every way possible. We love him so much! Mostly he loves the boys mommy Me…and by showing me love and respect Shaun teaches his boys how to treat a lady. 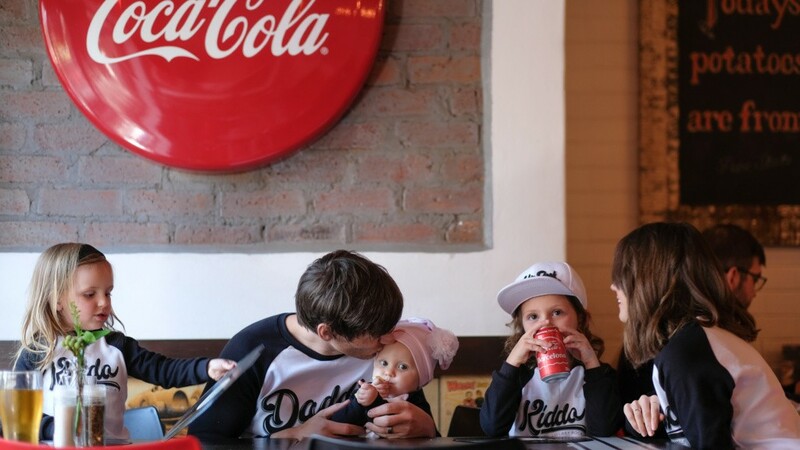 I hope they grow up to be such an amazing daddy to their own kids one day. Laughter love and blessings are true gems in a home. 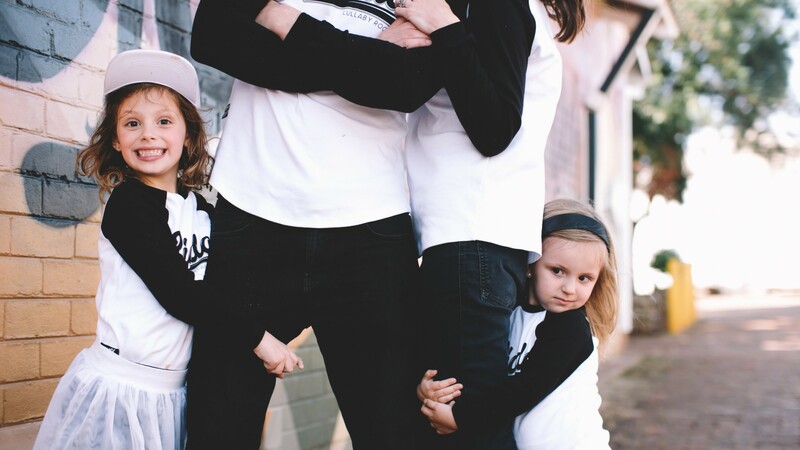 My hubbt is the best daddy ever… Nothing is ever to much for him when it gets to his kids! From dancing like Elsa on “Let it go”, to colouring and building blocks… He’ll do it, just ask! 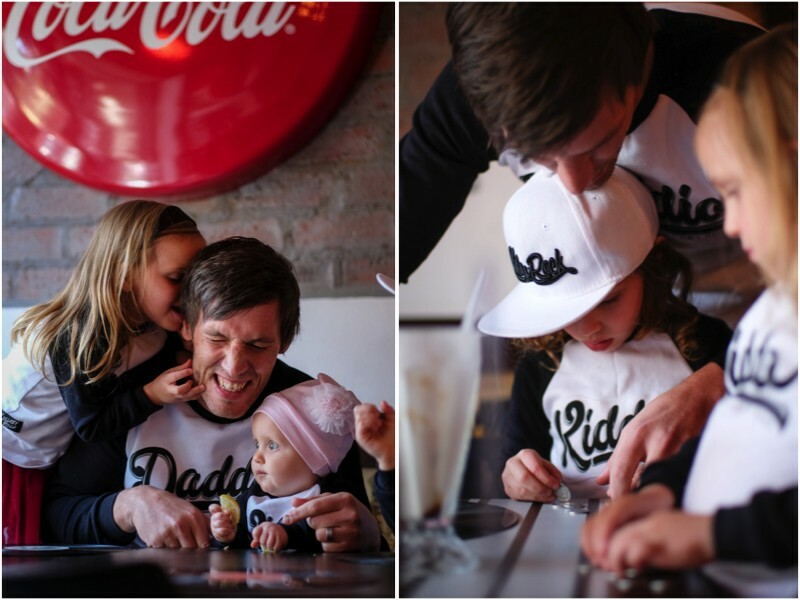 Feeding and bathing the kids, jip he doesn’t mind helping with that too… We are truly blessed having him as my hubby and the daddy to our kids! Our kids just simply adores him and loves him to bits!